How data can be governed effectively in the middle of security concerns? 02/May/2016 Posted By Blue Pi no comments. There was a time when organizations small and Big, were full of notions that more data means more value. Businesses wanted more information about their customers, their products and their markets. They wanted this information primarily to be able to integrate everything to make data-driven strategic decisions. Today, that notion has multiplied 10x, and the organizations are looking for an in-depth understanding of all areas. But more data doesn't always mean more trust, this is a very unsettling terrain and should be treated cautiously is what many Big Data Gurus will tell you. But, in reality, it’s the opposite – the 3Vs of Data (Volume, Variety and Velocity) have weighed down towards the uncertainty of Veracity. Big Data can be analyzed to make small company big! The right way to look at it is through the right approach towards the data. It is important here to understand, whether the data is structured or unstructured. 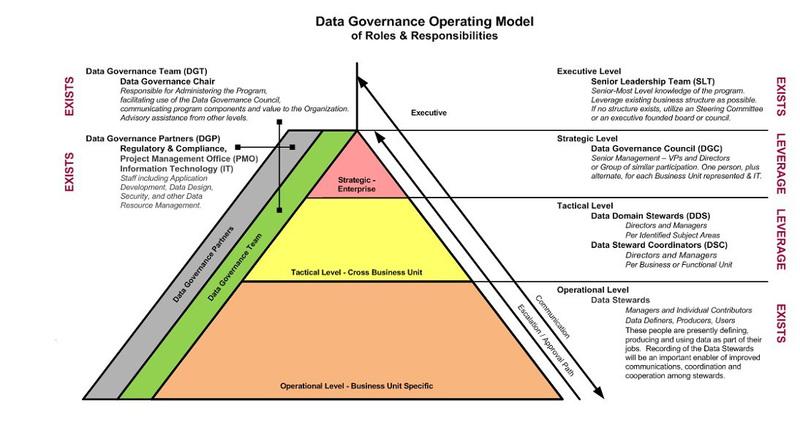 In the traditional approach, the data used to be governed as it was discovered in the enterprise. This approach was more on the lines of tried and tested formula of Waterfall Approach, where the Data used to be initially fetched, then through the phases of conception, initiation, analysis and implementation, the data was governed. This approach leads to the storage of data in a central repository first and then utilizing it, but this was a very cumbersome process. By the time organizations were able to make out any sense of the data, it was already past its expiry date in terms of usage. Another problem with this approach has been that it requires a large central repository which is very expensive. This used to put huge cost burdens on the Organization and they were not even able to break even with the costs. Apart from this, if the Data that needed to be processed would be larger than the Central repository then either they had to buy new servers or they had to push the data in batches, which resulted in further problems in terms of delay in processing and also it didn’t assure the accuracy of the data. This process was as slow as a snail pace and all the data would automatically elevate to the highest level of governance. The Definition of the Big Data includes the availability of the Big Data, infrastructure requirements, format of the Big Data, accountability of defining the Big Data and also defining the storage of Big Data. All these have to be taken care at the executive level and should be sorted at the initial level of discussion with the client. The Production of the Big Data includes, how Big Data is produced, where does the Big Data comes from, the quality of production of Big Data and storing the information about the production of the Big Data. Its accountability lies at the strategic and tactical level, which comprises mostly of Directors, VPs, and the senior management. The Usage of Data includes, how the Big Data is used and giving inputs about storing information also about how the Big Data can be utilized optimally by the client. The main accountability of this lies with the operational level which mainly constitutes of managers, data definers and individual contributors. Time has come that enterprises realize the importance of Data Governance, without which there can be numerous security concerns. In addition to the Data veracity problem, Big data poses huge security concerns which can be catastrophic. A comprehensive data governance solution ensures that organizations not only protect their information assets but also their customers. Governed Data is always reliable, secured and ready to use, while ungoverned data from an ungoverned terrain has little value for Big Data Analytics and operations. The total amount of information that is available in today’s Digital World is to the tune of 2 trillion gigabytes. It's up to the enterprises to truly leverage this opportunity and help organizations improve their decision making.